The Baumer OADM 250 Series long range laser distance sensor provides a solution for precise, fast measuring tasks at long ranges. 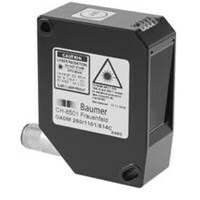 ECD has a large inventory of automation and control products in stock and ready to ship including Baumer Sensors. Call ECD today for all your Sensor needs.